Summer and winter come with moments that are a pain for the hair and scalp! Most men and women just cope with these symptoms – dandruff, dryness and itchiness. They don’t know that Head & Shoulders is the solution they have been looking for. 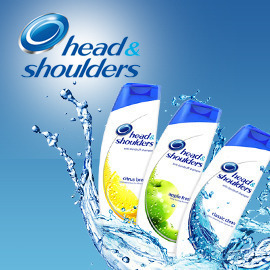 Head & Shoulders has a new formula that makes seasonal symptoms disappear! Create a disruptive and engaging poster that shows Millennials how Head & Shoulders solves hair problems during summer and winter.